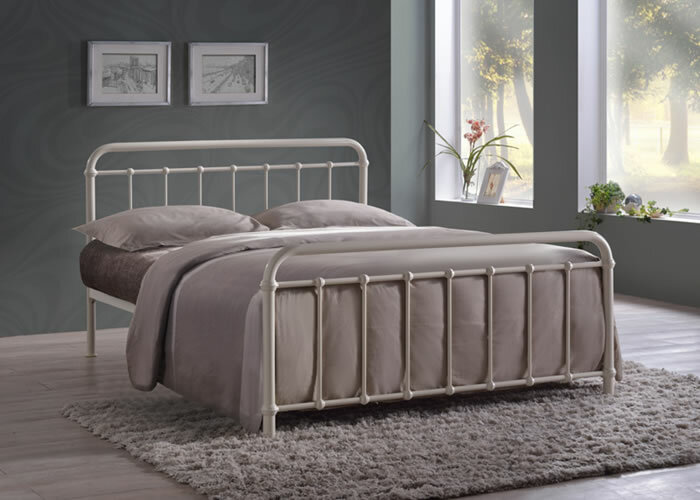 The Time Living Miami Ivory metal bed frame is available in four standard UK sizes including single, small double, double and king size. The Miami bedstead is constructed in a high quality metal, then finished in ivory. 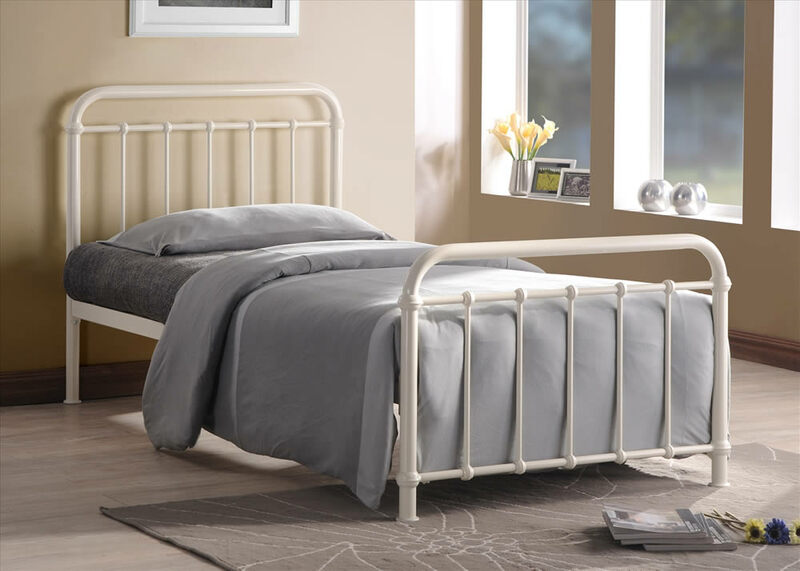 This traditional metal bed frame has a simple look with its curved tubular design, high headboard and lower foot end. Featuring a sprung slatted base for additional comfort and is designed for use with standard UK mattress sizes. This piece of bedroom furniture offers a popular timeless traditional design.